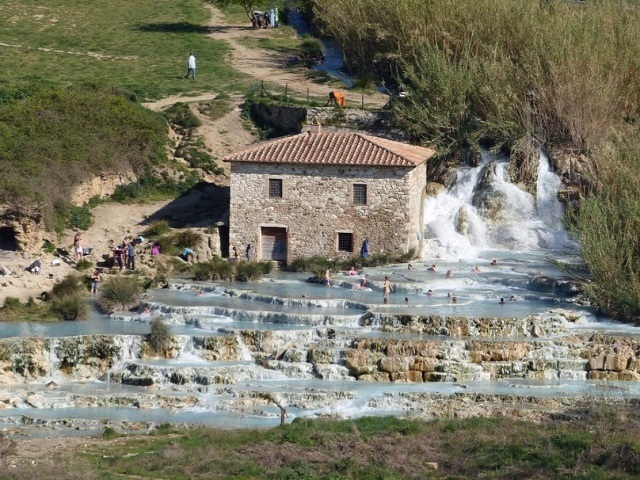 A couple of years ago I visited the hot springs at Saturnia. 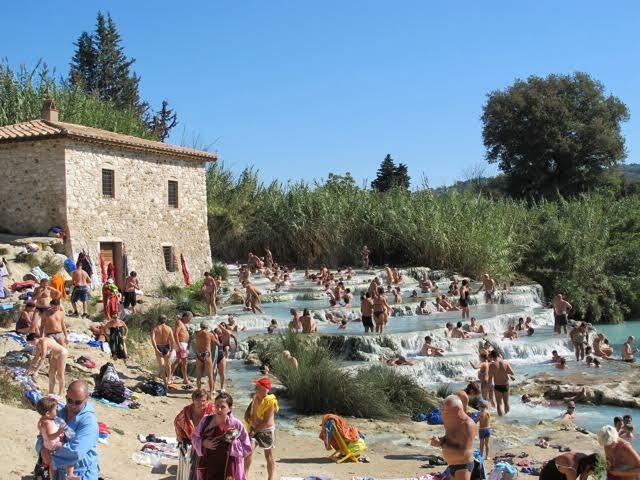 It was a hot Sunday afternoon and the terme was crowded. I vowed to return on a cooler day, mid week, in the hope that there would be fewer people. The idea of sitting in hot water on a hot day didn’t appeal either, so I returned on a chilly spring day and was delighted to find that there were hardly any people there. 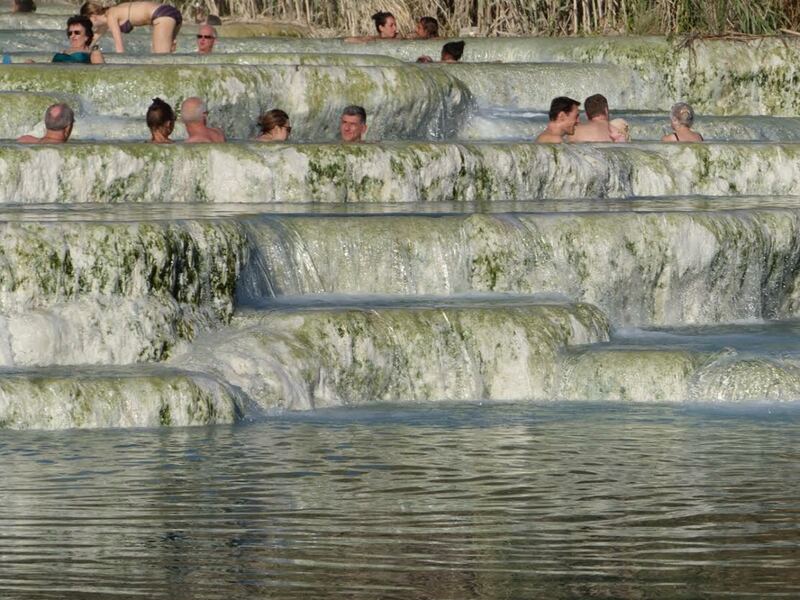 The hot springs had been popular in ancient times, but somehow were forgotten about for centuries. They were rediscovered in the late 1800s and a new Spa was built. 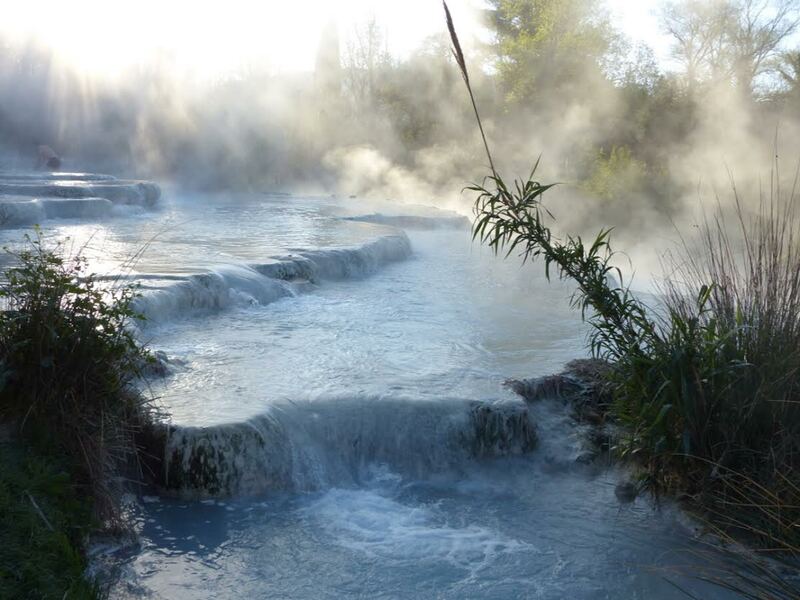 Hot sulfurous water at 37 degrees spurts out of the ground and tumbles over naturally formed pools. There are supposedly lots of health benefits that come from bathing in the water. The higher up you go, the closer you are to the gushing water and the warmer it is. Let the water tumble over you for a fabulous massage. We stayed close to the spring and went back early in the morning to find it almost empty and looking even more stunning. Steam rose from the pools as we found the best spot for an hour-long soak. 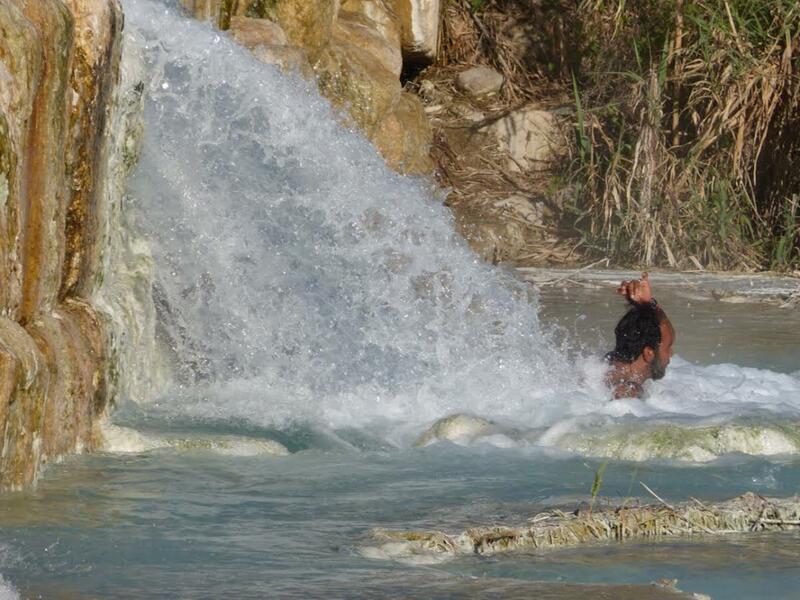 The Saturnia springs are free. There is a large car park nearby within easy walking distance. Be sure to take a towel and some suitable footwear as the bottom of the pools are full of tiny pebbles, making walking on them a bit painful with bare feet. 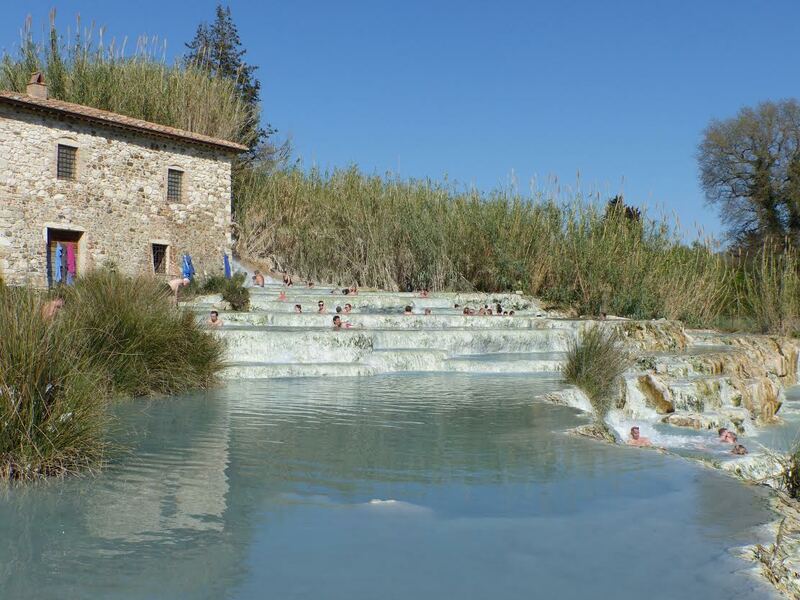 We felt refreshed after our visit and our skin felt wonderful…don’t miss the amazing Saturnia springs. Concierge tip: Consider enjoying a few days of even more relaxation in one of the most exclusive beach resorts in Tuscany. 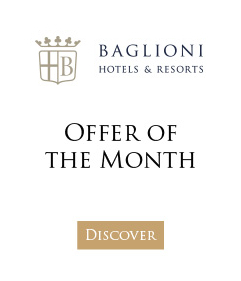 Our Baglioni Resort Cala del Porto is offering “Baglioni Smart,” an exclusive discount up to 20% on your reservation.